Urban Wetlands is a not for profit initiative with the broad aim of connecting scientists, activists, community stakeholders and managers of urban wetlands globally. It was launched in 2013 as a collaborative effort of several universities and research organizations in the Asia Pacific region. Our aim is to become the foremost media outlet for urban wetlands issues in the region. Prof. Ajith de Alwis is a professor, at the University of Moratuwa Sri Lanka and currently the Director of Coordinating Secretariat for Science Technology and Innovation (COSTI), Ministiry of Science and Technolology, Sri Lanka. He was instrumental formulating many environmental policies and practices in Sri Lanka and has long experience as a researcher overseas. Ms. Anita van Breda is the Senior Director for the Environment and Disaster Management Program of the World Wildlife Fund based in the United States. Anita is co-lead of the UN Emergency Shelter Cluster Environment Community of Practice. She has a Master’s degree from the Yale School of Forestry and Environmental Studies and conservation and development work experience in Asia, the Caribbean and the South Pacific. Prof. Tiffany Morrison is Research Leader (Social Science), ARC Centre of Excellence for Coral Reef Studies, James Cook University, Australia. She holds a Doctoral degree from the University of Queensland, Australia in political geography. She has held previous academic and research positions at the University of Queensland, Flinders University, University of Kyoto, University of Wisconsin-Madison and CSIRO – Australia. Dr. Mary E. Kentula is a Wetlands Ecologist with the U.S. Environmental Protection Agency (USEPA). From 1992 through 1996, she served as the national program leader for EPAs Wetland Research Program with her personal research focusing on wetland assessment and restoration primarily in urban areas. Mary’s current work involves large-scale assessments of the ecological condition of wetlands. 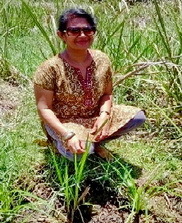 Her team led the production of the field manual for the first National Wetland Condition Assessment in 2011. Dr. Dhrubajyoti Ghosh was a renowned wetland scientist and activist for protection of urban wetlands and associated livelihoods. Based in Kolkata, India, he served as a special adviser for IUCN, while actively engaged in empowering the fisher communities of the East Kolkata Wetlands. He was a UN Global 500 laureate, a Luc Hoffman Award laureate and authored many publications on adaptive ecosystem management. Dr. Ghosh passed away in early 2018. UrbanWetlands remembers him with love. Dr. Missaka Hettiarachchi is a civil and environmental engineer by training and holds a doctoral degree in environmental planning and geography from the University of Queensland (Australia). Missaka has many years of experience as a researcher and a practitioner in environmental engineering and environmental management. Currently he is a Senior Fellow at the World Wildlife Fund – USA (WWF), Adjunct Associate Professor at the James Cook University (Australia), and Adjunct Senior Fellow at the University of Queensland (Australia). 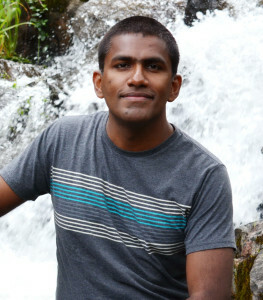 His doctoral thesis focused on managing urban wetlands in South Asian cities. Missaka has published many journal papers and book chapters on urban wetland governance and urban environmental management. Prof. Deepthi Wickramsinghe is a Senior Lecturer in the Department of Zoology, University of Colombo, Sri Lanka. Following her PhD in zoology as a split programme in the Dalhousie University, Canada and University of Colombo, she developed an interest in wetland management?and has paid a special attention to urban wetlands. Deepthi’s research interests include wetland biotic communities and their interactions with the habitat, water and soil quality variations, invasive species and ecoimmunotoxicology. She has held several key positions in professional scientific bodies in Sri Lanka, including President of the Institute of Biology, Sri Lank and Executive Secretary of the Sri Lanka Water Partnership. Deepthi has published several research papers and book chapters on wetlands. Ms. Rutaban Yameen is an Australian lawyer and LL.M Candidate at the University of Melbourne, with a special interest in human rights law and political economy. 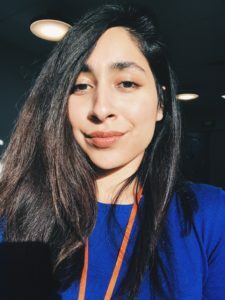 She is also a freelance writer, and a journalist and has contributed a number of columns, reports and video documentaries on social justice and environmental issues to Australian and international independent digital media outlets, including UrbanWetlands. Rutaban is an ongoing political and legal research volunteer in the Australian refugee and migration not-for-profit sector. She also works as a freelance professional editor. Ms.Tegan Jux (past co-editor) has many years experience working in the environmental field with both government and non-government organisations, research institutes and non-profit organisations. She holds a Bachelor of Science (Environment) from Griffith University (Australia) and is currently working towards a Master of Social Change and Development at the University of Newcastle (Australia). Tegan also has extensive volunteer experience with both community and environmental organisations. Her primary interest areas are natural resource use/management, livelihoods, community development and gender. Ms. Manasi Chathurika Somachandra (past news editor) is an honors student in Environment Science at University of Colombo, Sri-Lanka. Manasi has enthusiastically engaged in wetland research and activism from her high school days. She has volunteer experience since school as a member of the Environmental Pioneer Program conducted by the Central Environmental Authority, Sri-Lanka. She is currently studying urban wetlands and disaster risk reduction as part of her honors research project.